Javier Martínez de Pisón and Rubén Urraca have attended to the Hybrid Artificial Intelligence Systems (HAIS 2015) at DeustoTech (Bilbao, 21st-23rd June). This international conference brings together experts around the globe on learning algorithms, image analysis and applications of this techinques on real-case problems. 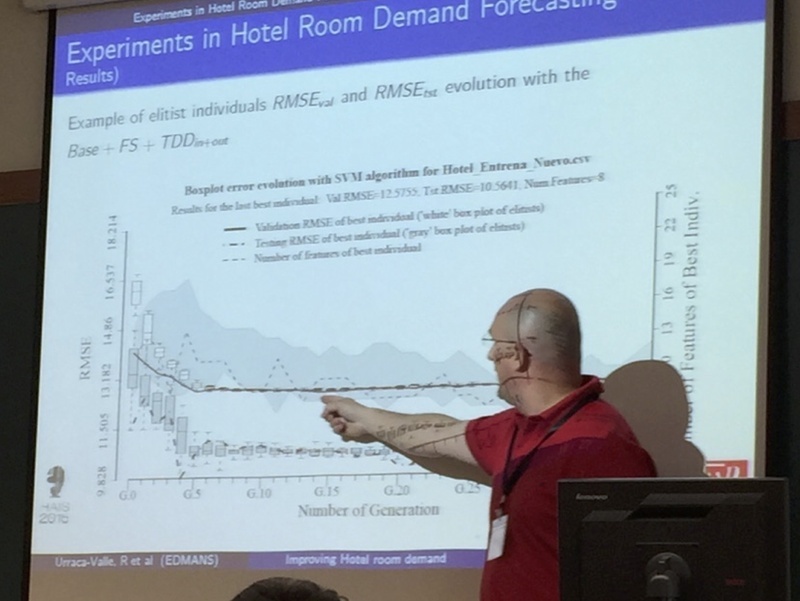 In the case of the researchers of EDMANS group, Javier Martínez-de-Pisón has presented an hybrid methodology based on GA to automaize the training process of modeling techniques while Rubén Urraca has shown a new library in R to train extreme learning machines (ELMs) using GPUs.